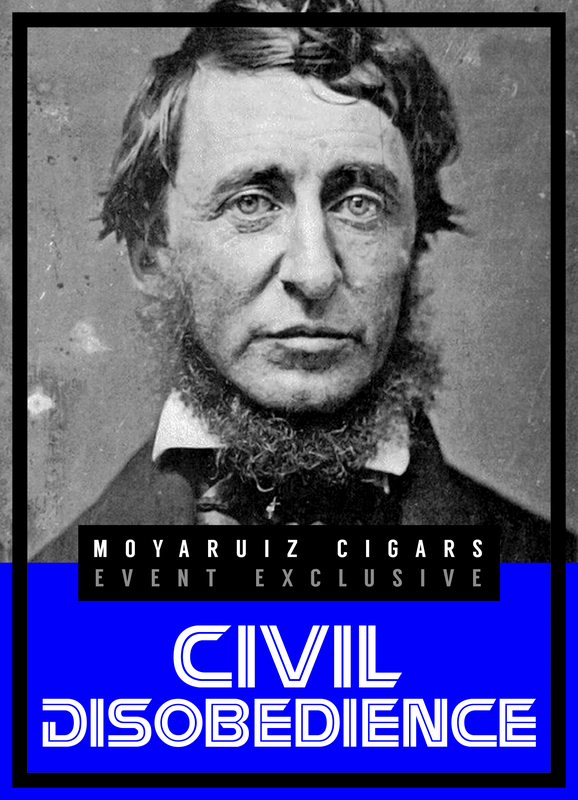 MoyaRuiz Cigars has announced its first event exclusive cigar, Civil Disobedience. The cigar was inspired as a response to the recently announced regulations on premium cigars by the U.S. Food and Drug Administration (FDA). The company has also announced that a portion of the proceeds of Civil Disobedience will be donated to Cigar Rights of America (CRA). Plans are of Civil Disobedience to make a debut at ZT Cigars Smoklahoma event on June 18th in Oklahoma City. The name Civil Disobedience is the name of an essay by Henry David Thoreau, a 19th century author and philosopher. Thoreau’s image adorns the packaging of the cigar. Civil disobedience is the active, professed refusal to obey certain laws, demands and commands of a government. A symbolic or ritualistic violation of the law. Henry David Thoreau’s image was chosen because of his essay on civil disobedience which influenced the political thoughts and actions of such figures as Tolstoy, Gandhi, and Dr. Martin Luther King Jr. Given the current state our industry is in we feel it is our duty to release a cigar that bares this name. Civil Disobedience will be our first event exclusive cigar, only available at MoyaRuiz Cigar events. 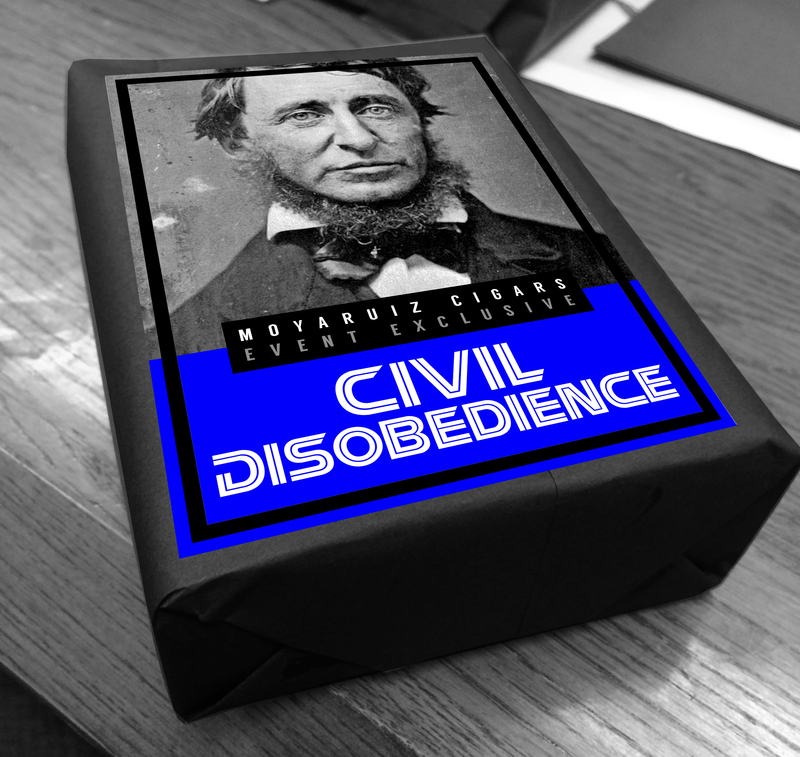 Civil Disobedience will feature an Ecuadorian Habano wrapper and Nicaraguan tobaccos for the binder and filler. The cigar is being released in one size, a Robusto size The cigar is being released in one size – a Robusto vitola. The cigar will be packaged in 10 count soft-packs and will have a retail price of $59.99. The cigar is made at Erik Espinosa’s La Zona factory. “When a regulation is unjust and imposes on our freedoms, we must disobey.” commented MoyaRuiz Cigars. MoyaRuiz Cigars launched in 2013 and was founded by Danny Moya and Nelson Ruiz. Like many boutique cigar companies, the new regulations could have a significant impact on small companies like MoyaRuiz.